The weather is finally starting to cool, and that means it is time to fill up our bellies with warm, hearty foods. 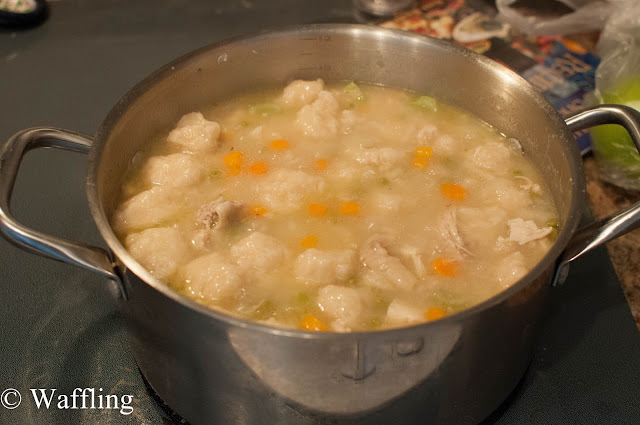 Enter my favourite Chicken Dumpling Stew! I shared the recipe last year here. But now, because I like to pretend I am a pioneer or something, I have kicked it up a notch by making everything from scratch! 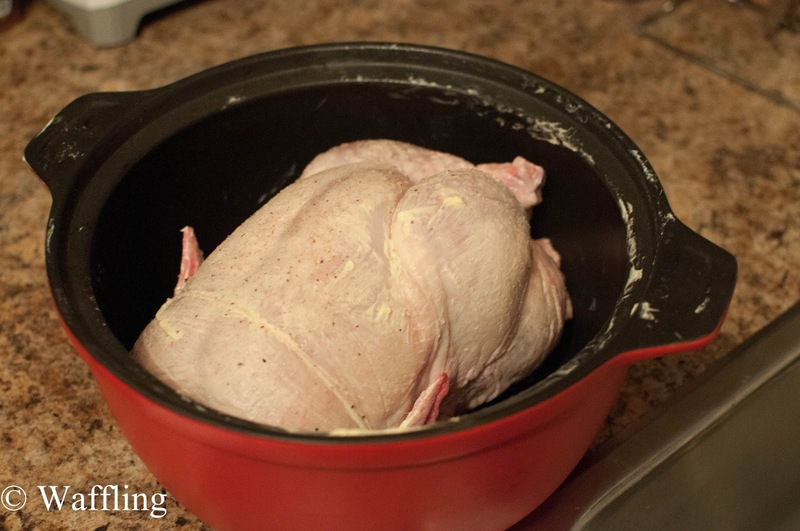 To cook the chicken, I rub the whole thing down in butter and sprinkle on some salt and pepper- nothing too fancy since it is all ending up in a stew anyways! I cooked it for about an hour, then I cut it up. 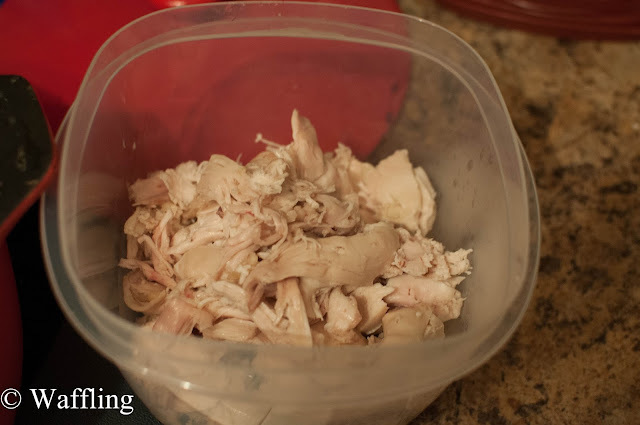 Do not throw out the bones! Set aside your chicken meat for later. 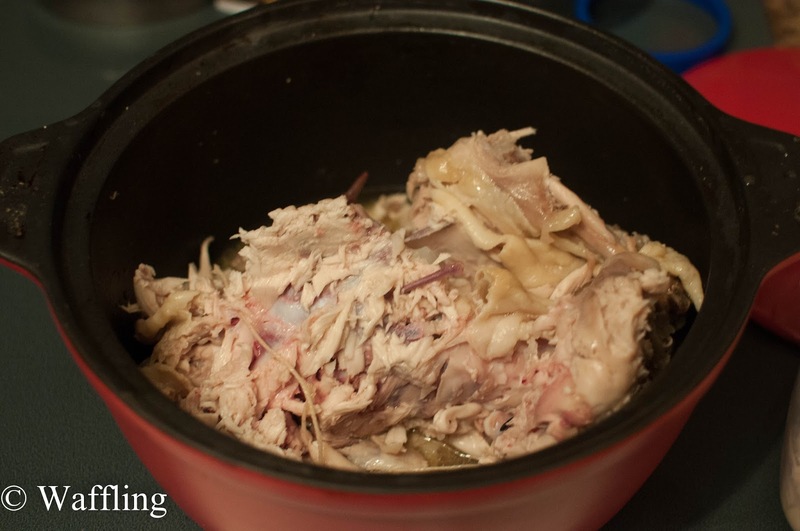 Take the carcass and bones and boil them in a large pot of water with some vegetables, salt, and pepper, reducing to a simmer after it starts boiling. I actually keep vegetable scraps and bones every time I am cooking dinner and I just freeze them. I just threw the frozen good straight into the pot! I tend to use onions, celery, and carrots. Let the pot simmer for 4 hours. Yes, 4 hours. Better put on a the extended version of Lord of the Rings and sit back and relax. 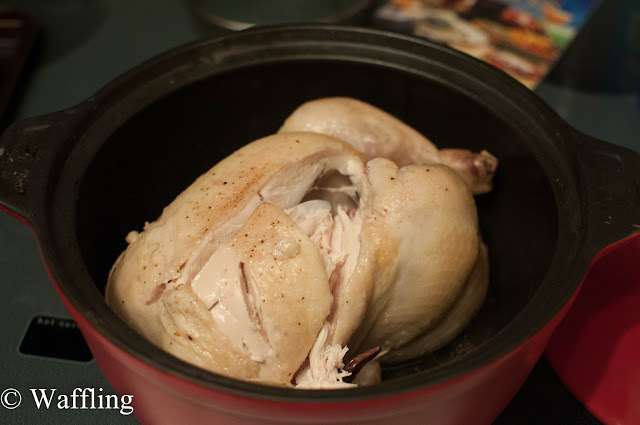 I will see you in 4 hours. 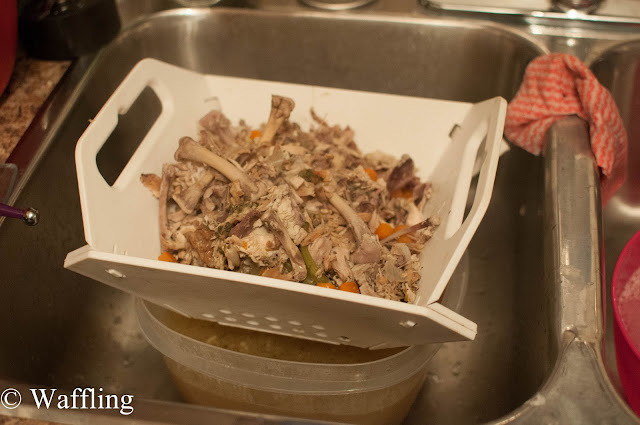 Drain your broth into a large container. Compost the vegetables and bones, because we are done with them. Some people skim their broth as it cooks, but I have no skimmer so I let my broth sit in the refrigerator for a day and then scoop off the skin that develops on top. Now it is time to make soup! The recipe is over here, but it is really quite simple. 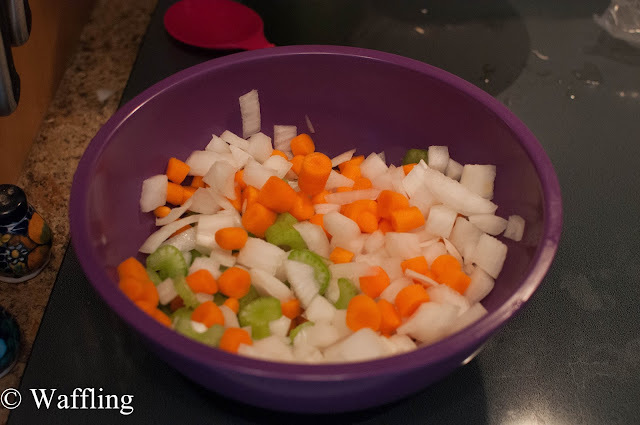 Chop up some celery, onion, and carrots. 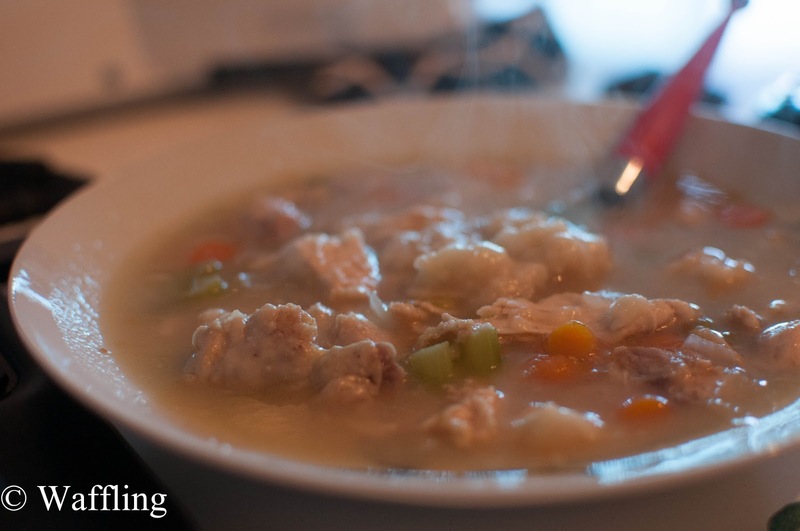 While your soup is being heated up, make your dumplings and drop them into the soup. I make mine under 1" in diameter because they puff up HUGE. 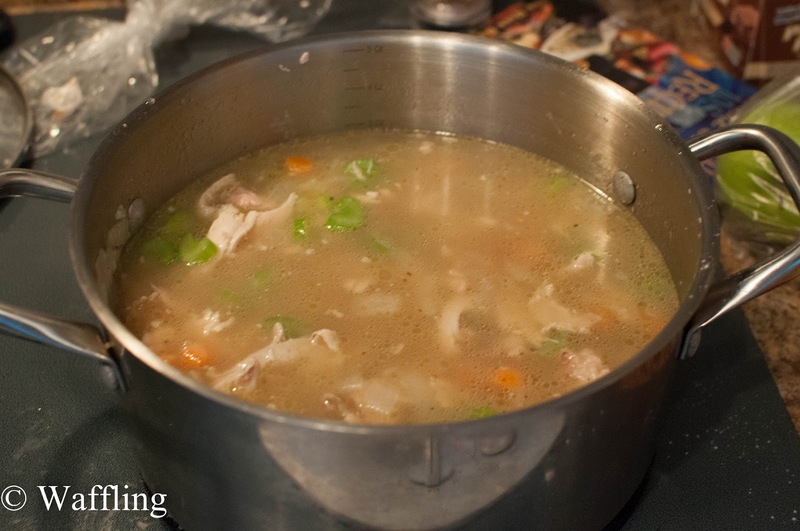 Cover your soup and let simmer for about 10 minutes. 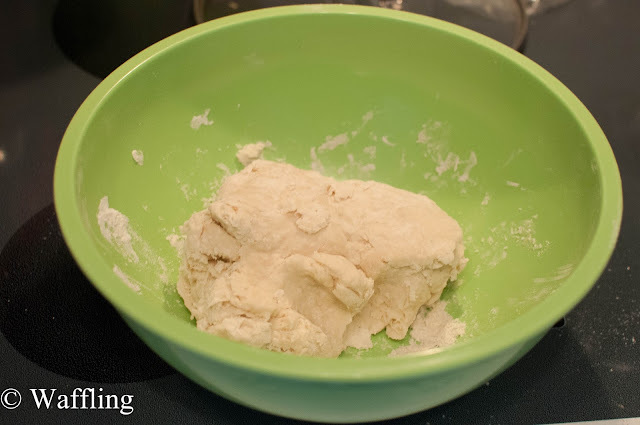 I like to stir it a couple of times to make sure the dumplings cook evenly. This stew is delicious and worth the effort! But if you don't have 6 hours to make stew, you can always buy your own broth and cook it straight away. 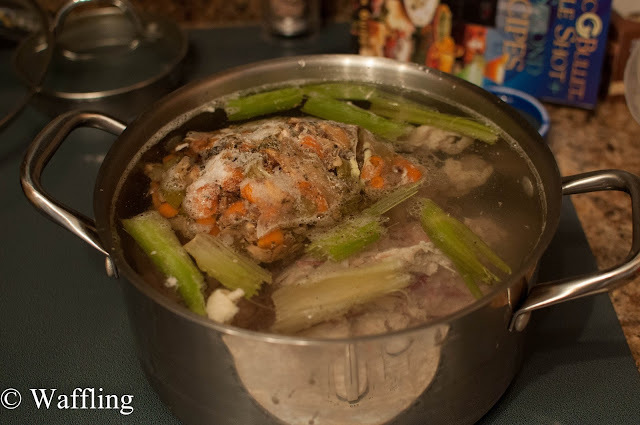 I don't mind making my own stock because it costs nothing and is really easy (if long). You just basically ignore it for 4 hours and it makes the condo smell like heaven. I find this stew is even MORE delicious the second day. The broth part gets super creamy if it sits for awhile. YUM. 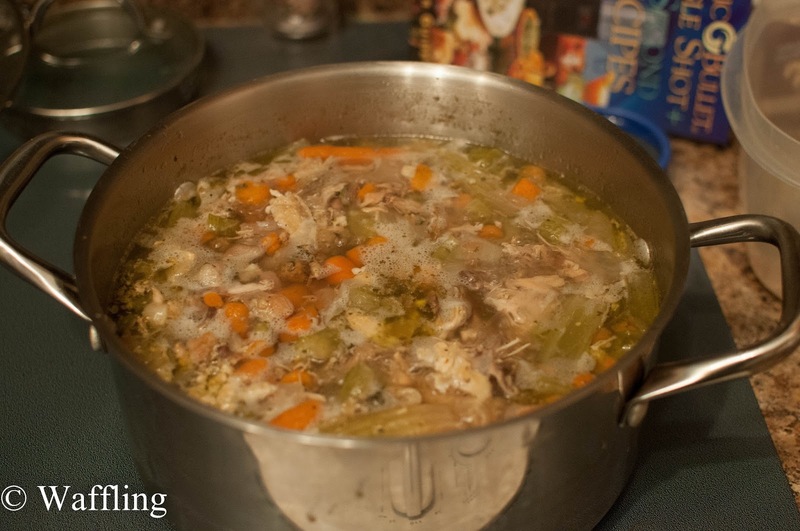 If you are trying to eat healthier you can scoop out the dumplings, but don't skip on making them because they really make the broth amazing. One time I halved the dumpling recipe and it was 50% less delicious, I swear. 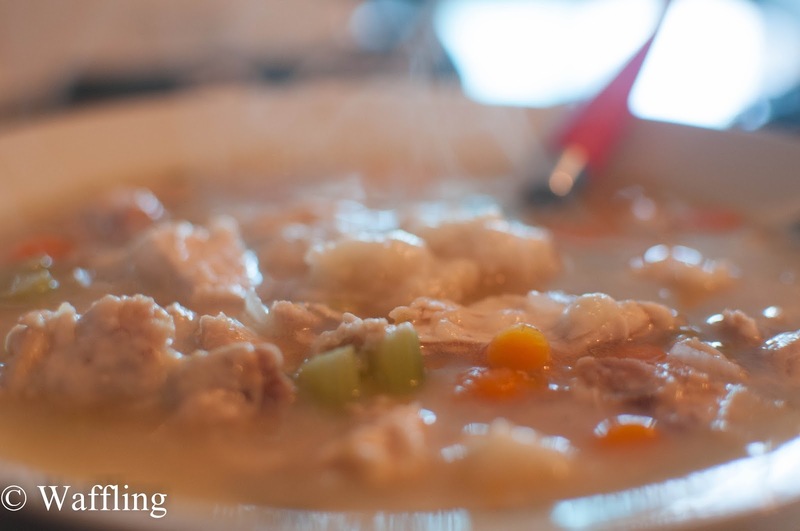 What is your go-to comfort food in the fall? FYI- I had some leftover pie crust from my mini-pies, so I made a little pot pie with this stew in the centre (omitting the dumplings). It turned out really yummy! !